How did you find out about Jake? Just out of curiosity, how did you find out about Jake? If I'm not mistaken, I was lurking some Transhumanist Facebook groups, when I read about a competitor of Jake (which I won't name out of respect), then I saw some ads of Jake some days later in an online newspaper I was reading, I clicked it, & I finally landed on the Jake Homepage. I first heard of Soylent a couple of years ago when the founder, Rob Rhinehart, was still 'inventing' Soylent. He kept a blog (this one) of how he was done with all the negative sides of food and would just go and live off the basic nutrients. I thought it was interesting and I was kind of waiting for Soylent to come to Europe. Then Joylent came and Jake and I switched to Jake because of the more professional attitude mostly. My brother found Jake and then we split the first order together. I read somewhere there was a very successful crowfunding project "Soylent". Did not know about what it was. I did know the movie "Soylent green" and that made me wonder about it. So I looked it up. And by googling about Soylent I ended up also at Jake Food. In my case it's due to Soylent + procrastination. Always wanted to try it but it seemed cumbersome (1 bag / day + oil stuff) and hard to get in Europe, so I googled around from time to time (the procrastination part, it was somewhere in the back of my head). Some alternatives looked a bit goofy (Joylent), impractical (MANA, due to the huge bag + oil) and so I somehow landed at Jake where the concept of 1 bag = 1 meal and Jake Light made me order right away. For me it's the solution to prevent myself from eating junk, especially at work when a lot of people decide to go for Pizza / Burger or time is limited and people "grab a sandwich". Not only do I stay way more productive, it's also stabilizing my weight that way. just read about soylent and got hooked about the idea, so i ask Dr. Google for different products and compared them. I ordered Jake because of the new formula wich has K2 instead of K1 and some other specifications (vegan, light product and usability, one bag one meal :). Both K1 and K2 actually. I find out about Jake because a guy in the gym was having Jake Shaker with him, got me curious! I was complaining to a friend how there's "dogfood" which contains all a dog needs, but no "humanfood". 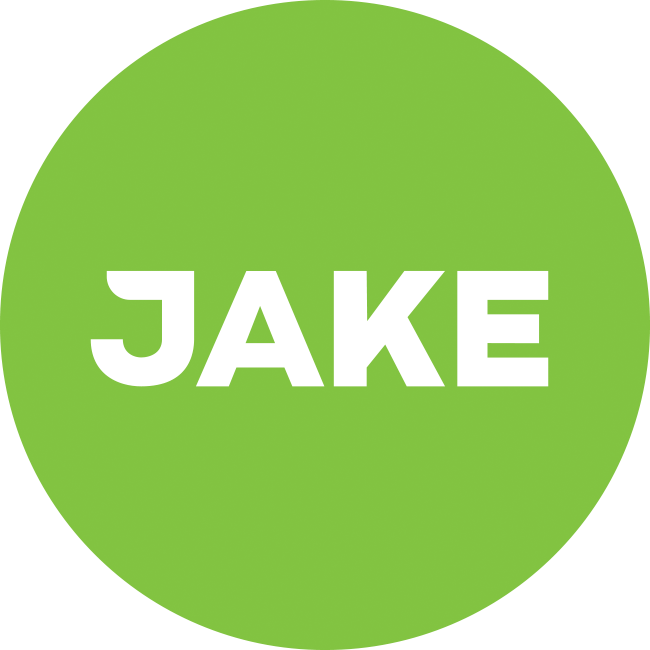 They told me there was indeed such a thing as "humanfood", so I did some research on which kinds were available and finally settled on Jake because I liked the mix of ingredients and the attitude of its creators towards it.